Kuta, not only Kuta Beach and Legian Street alone. Kuta is very spacious with plenty of interesting and attractive. Kuta is the most fun place in Bali. Lots of things to do in Kuta. Surfing is the thing to do in Kuta Beach. Kuta Beach Bali is located in Badung area, 3 km from the International Airport of Bali. Kuta Beach has a nice little sea waves and the sandy area is very suitable for beginner surfers. Around the coast in the wake many resorts, restaurants, hotels, and cafes. In the vicinity of the beach are also a lot of the beach boy who offer rental services as well as training board surfing. Sunbathing is the thing to do in Kuta Beach .Kuta Beach is favored by foreign tourists for sun bathing and basking in the sun, and usually while sunbathing tourists reading their favorite reads like a novel and more. Seeing the sunset is the thing to do in Seminyak Beach. Besides the beauty of the sunset, Seminyak beach also offers a variety of fun activities to do with family, couples, or even friends. You are safe to swim at the beach. After the swim you can comfortably sunbathe. There are umbrellas and chairs on the beach to protect you from exposure to direct sunlight, usually reserved for hotel guests. 4. Enjoy the nightlife in one of the club in Jalan Legian. Jalan Legian is the main road connecting Kuta to Seminyak in Bali. The street is full of shops, bars, hotels, and clubs. 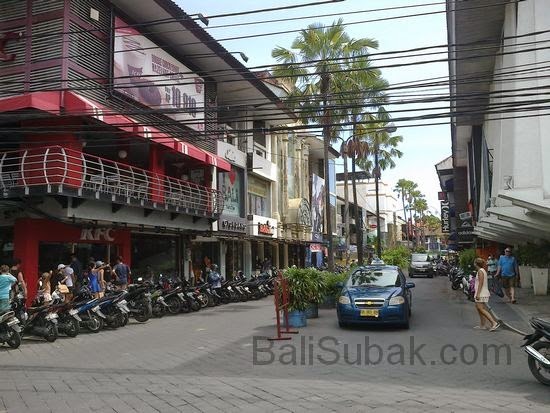 Because of the many nightclubs and the location is close to Kuta Beach, makes Jalan Legian become one of the popular tourist destination among tourists in Bali. Waterbom Bali is a family recreation center complete with rides - exciting water rides, located in downtown Kuta makes this place very easy to reach from all directions lodging in Kuta. With an affordable price you can come up with his family, friends or your group. Ground Zero Monument is a monument built in memory of the victims of the Bali bombing, 12 October 2002. The monument is convenient because it is located at Jl. Legian, Kuta area crowded by cafes, night clubs, shops, and luxury hotels. 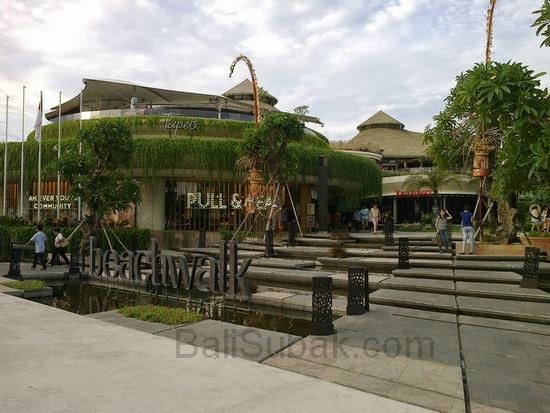 Hanging out is the thing to do in Kuta .Beachwalk Bali which is located at Jalan Pantai Kuta, Bali, newly established in April 2012, but its strategic location and full of local and international brands make Beachwalk crowded every day. Unlike the mall concept in general, this mall has a unique design with open air, you will be remembered by Balinese tradition with reeds and tropical plants. There is also a fountain, which often presents the main stage musical events, and hanging gardens with transparent glass railings. Legian Beach has a beautiful panorama with clean white sand and sunsets (Sunset) so fascinating that many local and foreign countries who come to see it. Legian Beach is great waves for surfing, therefore the contest surfing activities are often held here. In addition, the beach is also suitable for recreation, relax and sunbathe. Kuta Square is a shopping area which is located in the traditional village settlement of Kuta. TheDulang Cafe types of goods sold generally are branded fashion from overseas. There are many cafes at Kuta Square area with a variety of menus offered. In addition to shops and shopping centers there are also games around the area such as Kuta Square Bali Slingshot, waterboom Bali, and other games facilities. Kuta Art Market is a traditional market, we can get souvenirs and items made by local people. Prices vary, depending on our ability to bargain. The most important thing to remember is to be polite and friendly and treat them as a sort of game. Haggling is expected and indeed encouraged as part of the fun of shopping. Kuta Theater is an entertainment show which consists of a wide variety of shows, ranging from dancing, acting until the magic that comes with lighting effects and background music, as well as modern dance supporting element. Additionally Kuta Bali Theater presents show that combines illusion and stories that contain elements Bali wit and moral message.